PlaySkool Heroes Marvel Spider-Man with Web Racer Just $8.79! 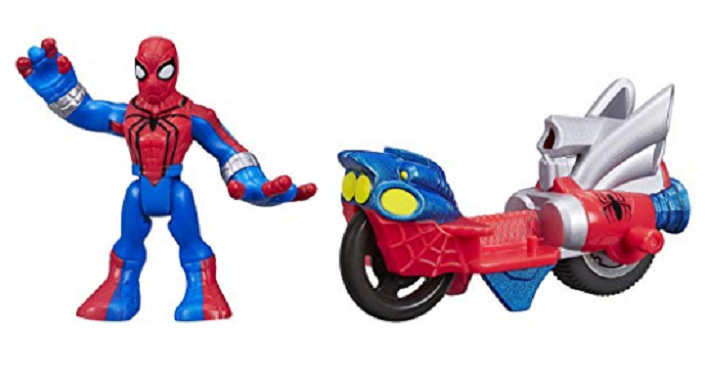 This is a nice price on this PlaySkool Heroes Marvel Spider-Man with Web Racer for Only $8.79! This tough little Web Racer is just the right size for his hands, and the included Spider-Man figure stands on it to race into action! They both work with Action Figure Racing playsets (sold separately) – and the bigger the Action Figure Racing team gets, the more fun there is to have! Give the gift of awesome with this Spider-Man figure and Web Racer vehicle!